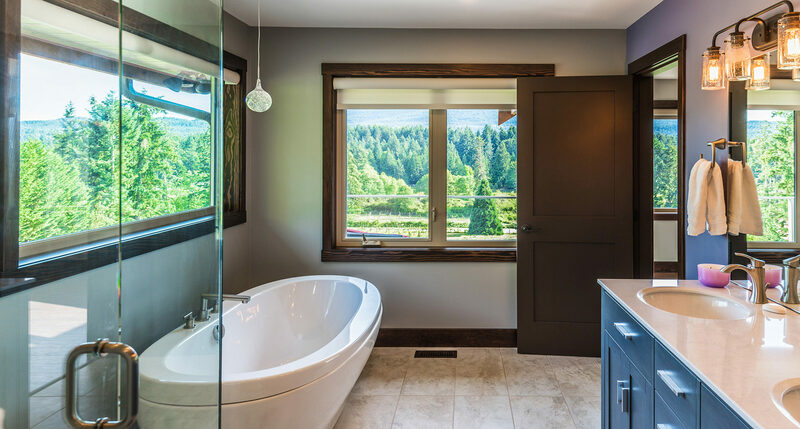 Whether you are adding a new seamless glass shower, a claw-foot tub or elegant under-mount sinks, there is no denying that a quality bathroom renovation can change the look and feel of your entire home. This often-used room in the house is central to comfort and convenience. Making even simple updates helps to add value, appeal and even enhance your quality of life. 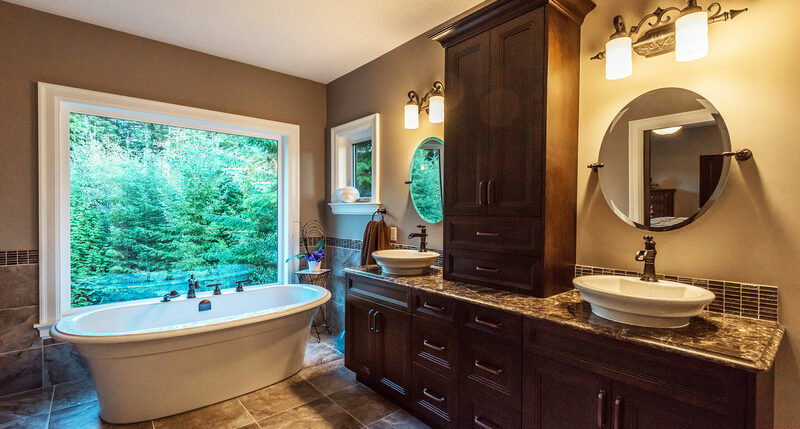 From demolition to completion, it is common for questions to come up through every stage of a bathroom renovation. To help keep our clients from ever feeling like they are left out in the dark, Alair Homes Solon utilizes a proprietary online system to keep clients informed and involved. With this system, monitoring the timeline, reviewing inspections or taking an active role in picking materials and selecting sub-contractors is simplified. 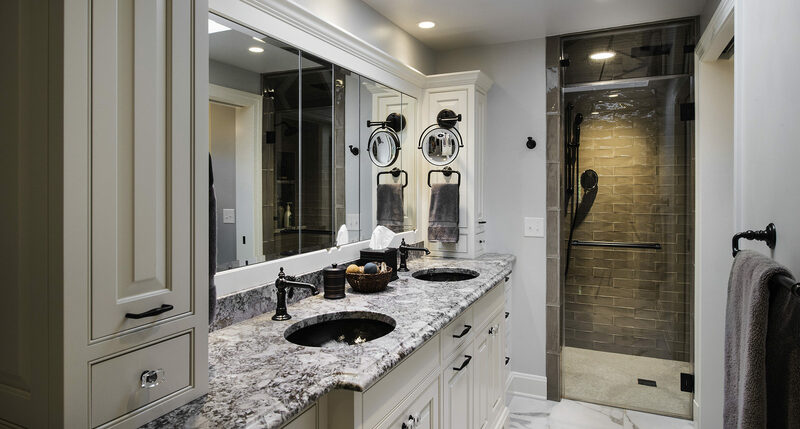 This helps to put our clients in the driver’s seat, reduces stress and makes it easier for homeowners to ensure their vision of a dream bathroom is transformed into reality. Improve your life by remodeling your home. Since the success of your project relies heavily on strong management, we are extremely selective and hire only the best project managers. Our project managers receive extensive and ongoing training on a weekly and monthly basis. The success of our business is built on the strength of our project managers and we are proud of the highly skilled team we have assembled at Alair Homes Solon. Cost per square foot is a very poor way to gauge the cost of completing your custom home because it is only relevant if you are comparing the exact same home plan and fitted with the exact same fixtures. Alair Homes Solon will not quote on a per square foot basis because we understand that if you are going to achieve total satisfaction from building your own custom home, you deserve to understand the true cost of your project that matches your goals and specifications. This requires a thorough budgeting process with a knowledgeable construction professional with past experience in your type of project. This process does not take long and is the surest way to give you the confidence you need to understand what the total cost will be before the project starts. Does Alair Homes Solon provide fixed price or cost plus contracting? Each of our projects is as unique and diverse as our clients, which is exciting for us and important to our clients. However, if we have a project under construction, and we have the permission of the client we would love to show you a project in action! This is a great way to assess a contractor as you get to see things from the inside out. For Alair Homes Solon, this is also an opportunity to show what makes our approach so unique and what makes Alair such a different kind of contractor. This past Fall, my husband & I decided to renovate our front porch, so we hired Ken Badalamenti from Alair Homes Solon to be our general contractor. It was the BEST decision we made! Not only is Ken top-notch when is comes to professionalism and quality, but he’s also extremely trustworthy and personable! Ken’s commitment to high standards, whether it be tradesmen or products, was a huge plus. We thought we would be overwhelmed by this undertaking, but Ken took the reins and everything went smoothly. Ken hired tradesmen who arrived on time, were respectful, and did outstanding work. Ken was always on-site, especially when another stage of the project was commencing or a new crew was starting. Ken also understood our need for flexible start times because we have a son with special needs who requires uninterrupted sleep. We were impressed with Ken’s commitment to staying on budget. We had a wonderful experience working with Ken; we have a beautiful, updated front porch; and we will definitely contact Ken for future projects…thank you! We love our remodeled kitchen and new mudroom/back entrance and porch. Our 1956 ranch style home was way overdue for a kitchen remodel. Ken did an excellent job coordinating all the tradesmen who worked on our home and kept us in communication with their progress. He has an eye for detail and makes sure everything is done right. I appreciated the Alair model of cost transparency and would recommend Ken and Alair Homes for any remodeling projects. Our architect introduced us to Ken at Alair Homes for an addition and exterior update on our home. Ken was on site every day, and was always pleasant and cheerful. The trades he hired were all very professional and took pride in their work. Ken has the highest standards, and does not rest until every aspect of the job is completed to his satisfaction. Ken was incredibly responsive and proactive. He was also very creative in dealing with issues that cropped up along the way. We are extremely pleased with the results of our project, and happily recommend him to anyone in need of a general contractor. Our company worked with Ken on the large contemporary award-winning renovation project in Bratenahl. Through client changes and unexpected existing conditions, Ken and his crew navigated the project to high success. Ken expected quality work from his group and the client is very happy with the end product.